As they move forward with the process of planning the 2012-2013 fiscal year budget, employee salaries remain on the forefront of the minds of the members of the Caldwell County Commissioners Court. by the Court was nearing completion; that survey shows a woeful deficit in Caldwell County employee pay, as compared to other counties’ pay scales for the same positions. In an effort to address the problem, County Administrator Ron Heggemeier has encouraged the Court to consider implementing salary increases on a five-year structure, which will offer many employees considerable pay increases, in an effort to have pay rates “normalized” within five years. What Kortan called a “wall of brown” from the Caldwell County Sheriff’s Department lined the room to show their support for the plan. For several years, the Sheriff’s Department has led the charge for pay equity, often arguing that turnover is high because officers leave almost immediately after being trained to seek employment in greener pastures. Through the course of the conversation, scrutiny fell on several of the high-paid new positions created in last year’s budget – Heggemeier’s position in particular. While Commissioner Neto Madrigal and Joe Roland both expressed support for the tiered system that Heggemeier had suggested, they both said they believe the plan should “start at the bottom,” addressing the lowest-paid employees first, and only increasing the highest-paid positions after the lower-paid employee salaries are equalized. The discussion, at that point, became heated, and finally the County’s Civil Attorney Mack Harrison had to step in and ask the Commissioners to return to the task at hand, which was the survey itself. He said it was off-agenda and possibly inappropriate to be discussing specific positions. In a related item, Heggemeier also suggested that the Court approve a re-posting of the potential salaries for Caldwell County elected officials, in conjunction with the five-year plan. Although Heggemeier reminded the Court that they did not have to approve the salaries at the levels advertised, they cannot approve salaries higher than what they have already advertised. The new notice, which addresses structured increases for not only the Judge and Commissioners, but for all of Caldwell County’s elected officials, appears on Page 4B of today’s Post-Register. The Commissioners will continue to discuss the budget, and the pay structure, as budget talks continue through the summer. In other business, the Court heard a presentation from Plum Creek Watershed Coordinator Nick Dornak regarding the possibility of implementing a Feral Hog Bounty Program, along with other ideas to help decrease the feral hog population in Caldwell County. Dornak said the program should be instituted during the three-month period between October and December, and that if successful, would likely increase the County’s opportunity to receive grant funds to help control the hog population in the future. The program is expected to include a $2 bounty for each feral hog “taken,” and will likely be capped at a cost of $1,000 to the County. The Commissioners also discussed the use of the Caldwell County Courthouse Lawn, in an effort to continue the ability for the community to use the lawn during festivals, but to mitigate the damage done to the lawn during those times. One possibility presented is the construction of “platforms” which will allow vendors to erect booths on the street, rather than on the lawn. This might allow foot traffic to stay on the sidewalks while allowing citizens the use of the lawn. It is unclear how, or if, such platforms might be built or could be effective, but the Court asked staff to consider the possibility and return with a report at a later time. The Court agreed to enter into negotiations with the architectural firm of Steinbomer, Bramwell and Vrazel for their services in connection with the construction project at the “old WalMart building,” which the County has made plans to purchase and convert into a judicial center. The firm was the highest-ranked among those who responded to a recent Request For Qualifications. If a suitable contract cannot be negotiated with the Steinbomer firm, the County will begin negotiations with the next vendor on the list. The Commissioners issued an order authorizing Caldwell County Constables to enforce weight limits on county roads. 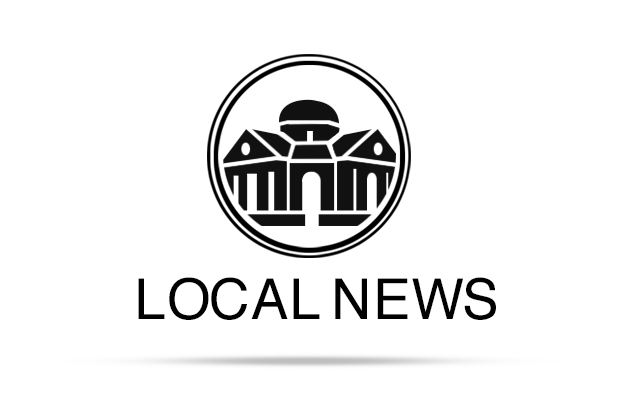 They heard a report from Heggemeier on the projected cost increase for employee health care in the coming budget year. Although original budget projections looked toward a $500 per employee increase, the final number is far smaller, amounting to an average of $43.25 per employee. County Judge Tom Bonn drew citizen names for the salary grievance committee for the current budget year. The committee is called to serve when an elected official files a grievance about the salary they are scheduled to be paid. Although the clock for such grievances has been reset with the new “announcement” approved this week, one elected official had filed a grievance to ask the committee to review her salary. It is unknown at this time whether the committee will be called to serve, in light of the new budgetary developments. However, those chosen to serve include: Philip Seelig, Rory Voigt and Pat Roberts, as well as alternates Michael Pullen, Denise Garcia and George Dittmar. The Caldwell County Commissioners’ Court meets on the second, third and fourth Monday of each month at 9 a.m. in the Training and Conference Room at the LW Scott Annex. The meetings are open to the public and interested stakeholders are encouraged to attend.